I recently came face to face with the power of the blurb. For me, the blurb is something I churn out during the book publishing phase without much thought. Of course I knew it was important. I just didn’t realize how much power that little paragraph wields. 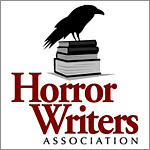 This week I sent out over 1,000 emails to the general population of horror writers to hawk Bitter Suites in hopes of grabbing some attention for award recommends. Its something many of us do each year. There are guidelines in place to make sure we aren’t just spamming and some pretty strict etiquette in regards to form. In accordance with yada association rules, I would like to offer you a complimentary copy of BITTER SUITES for your consideration in the Long Fiction category. Please reply to this email with your ebook format of choice (PDF, Mobi, ePub) and I will be glad to send it. I added a link to the book on Amazon, my web page of critical reviews and my author page. I sent it to the first 150 emails and received three requests. I’ve only done this once before, but that was pretty much the ratio I experienced last time. As I copypasted this time, I started thinking. Book a stay at the Bitter Suites, a hotel that specializes in recreational suicide experiences. Whether you schedule your demise as therapy, to bond with a loved one or for pure recreation, your death is sure to give you a new lease on life. Renewable death is always beneficial… at least to someone. Hi Angela, I would like a copy on .mobi format. It sounds very different and interesting. And just for feedback: I found your blurb effective in hooking me. This got me thinking… how else can I use my blurb to get my book out there? Social media, of course. I searched through my reviews of Bitter Suites, found a nice sentence and pasted it as a comment. I used one of the canned backgrounds Facebook has enabled. I linked the book for sale on Amazon in the comments. Then I shared that post, which now acts like an image, and in the comment I pasted the book blurb. I linked the book link on Amazon afterwards. To the right is a screenshot of the result. Click to enlarge. And… what were the results? Sales! You can see how my ranks jumped right after I did this, and they are continuing to move positively. This was an extremely simple thing I did. It was fast and free and it apparently works. I’ll keep experimenting with this and post my findings at some point next week. you might want to share this when we get to Stokercon –on the panel — make a note! I do agree fully — that would pique my interest –what you did! I’d love to. Anything we can figure out to get our words out there… and anything I figure out I’m glad to share.